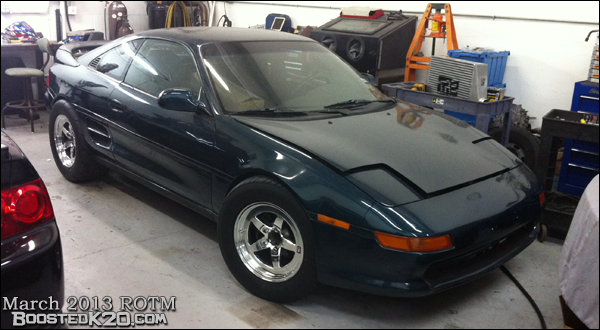 This is an MR2 that definitely stands out from the pack. Meet RaceLAB Industries’ 1991 Toyota MR2. 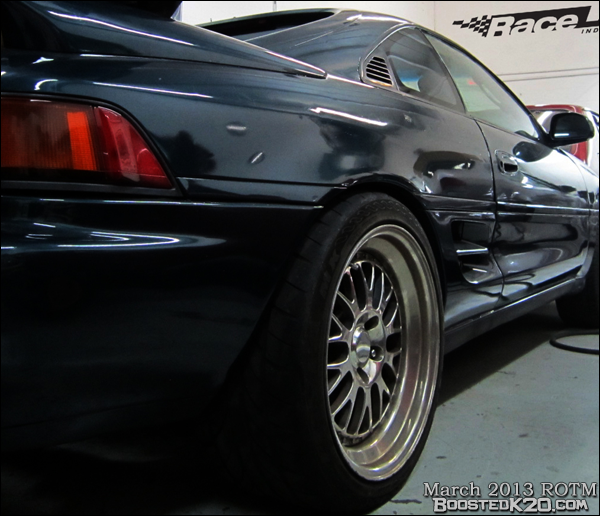 This MR2 is powered by a built and turbocharged K20A2 motor (surgically removed from Edwin's 960whp hatch), with several custom made components to get this motor swap to work exactly the way they envisioned it. One beautiful example are the custom runners below for their one-off intake manifold, to nicely complement their 1000+hp K-Tuned Fuel Rail. Ramon and Angel, owners of RaceLab Industries, developed a passion for building and modifying cars together – and for the same reason. Their gearhead days began as broke high school kids with a burning desire to make their cars faster. They wanted to modify their cars, but couldn’t afford to pay a quality shop to do the work for them. That didn’t stop them though, it forced them to learn how to perform the work themselves. Over time, they began to realize that some of the things they created in their front/backyards were pretty good in comparison to similar products created by most professionally established shops. Eventually, it evolved into something they could turn into a business, while keeping it enjoyable for themselves. Their build inspiration was straightforward. They wanted to build something ‘out of the norm’ that uses a power plant they were very comfortable with and would still function reliably, both on and off the track. These types of builds usually start off as a crazy idea that snow balls into an actual car. This wasn’t the case here though. This project was sprouted while working on a friend’s MR2. 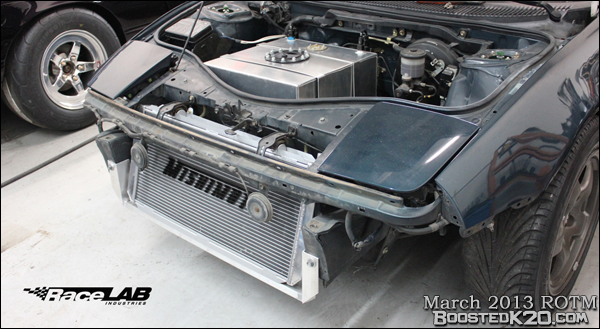 “Angel was fabricating up a water-to-air intercooler setup on our friend’s MR2 and we began just shooting out ideas on how we could make the K-series engine work in the MR2. A few weeks later, we ordered the car from a seller in Texas and it was all downhill from there. Once we had the idea in mind, we looked around but couldn’t find any 2nd gen MR2’s that had been K swapped. We found some 1st gen Mr2’s and some 3rd gen MR-S’ but no 2nd gen. And definitely none built to the extent that we planned for ours. Our goal was always a big-power turbocharged engine. Way too much power in a small RWD mid-engine vehicle just sounded like a good idea. An added benefit, we realized during the build process, is the exposure or publicity that a car like this would bring to RaceLAB as a business.” They do great work, notice their in-house RaceLAB sidewinder turbo manifold below, along with a K-Tuned spark plug cover, K-Tuned Pro-1000 fuel rail, and custom one-off intake manifold. 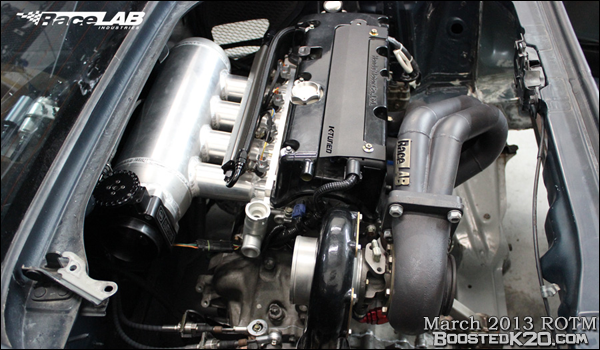 The power goal for this RaceLAB Spec 2.0L K20 is 1,000-1,100whp. 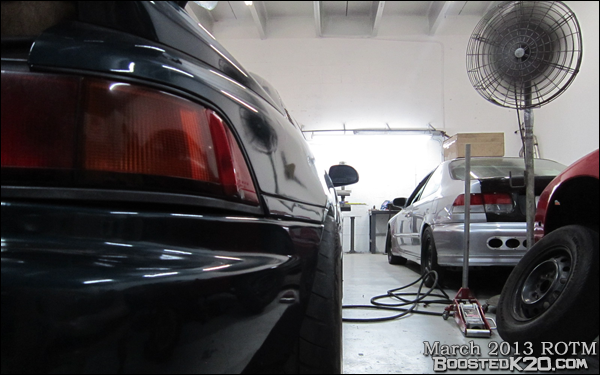 This motor already made 960whp, so with a bit of tweaking, they can hit their goal. 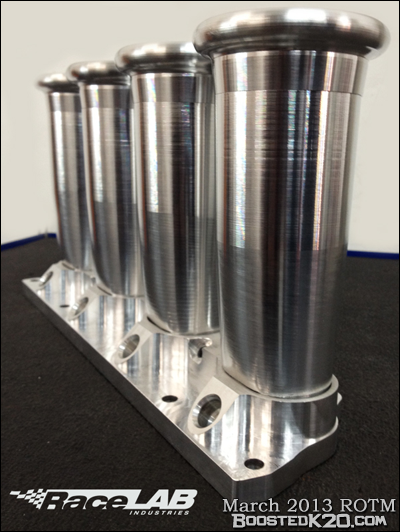 The motor has an ERL sleeved bottom end with forged internals, done by 4Piston Racing. Their transmission consists of mainly PPG parts with a billet bell-housing for added insurance. Their ultimate goal is to break the current MR2 1/4 mile record. Then, they will see how low they can go! From the perspective of a shop owner, the largest setback is mainly time. Dedicating time to figure out details or working on the car isn’t always possible as a business owner and the business is only run by two people. "Luckily, we have had companies that have helped us along the way: K-Tuned, T1 Race Development, Injector Dynamics, Competition Clutch, and 4Piston Racing." It's great to see shop owners build great cars and be honest with their builds and details. This is one car we will definitely be seeing more of this year. Their future goals for this car are to have it fully tuned and then completely stripped down and painted. We will post a link to their final completion pictures in a few months, so be sure to check back, because [MENTION=814]RaceLAB[/MENTION] will be back! Last edited by BoostedK20; 03-01-2013 at 03:44 PM. Thanks for the love guys! We finally fired her up and will be posting some videos of her soon. Awesome build! Great feature for ROTM. Congrats [MENTION=814]RaceLAB[/MENTION] on being featured. I enjoyed the story and look forward to your videos and forum participation! Dang lovely choice of rotm. Props to the owner for all the hardwork n dedication. We finally got her running and took her for her first drive. Must say it feels good to finally hear her run and drive. Congrats can't wait to see more stuff from you guys! i can't wait to see dyno vids and pulls!